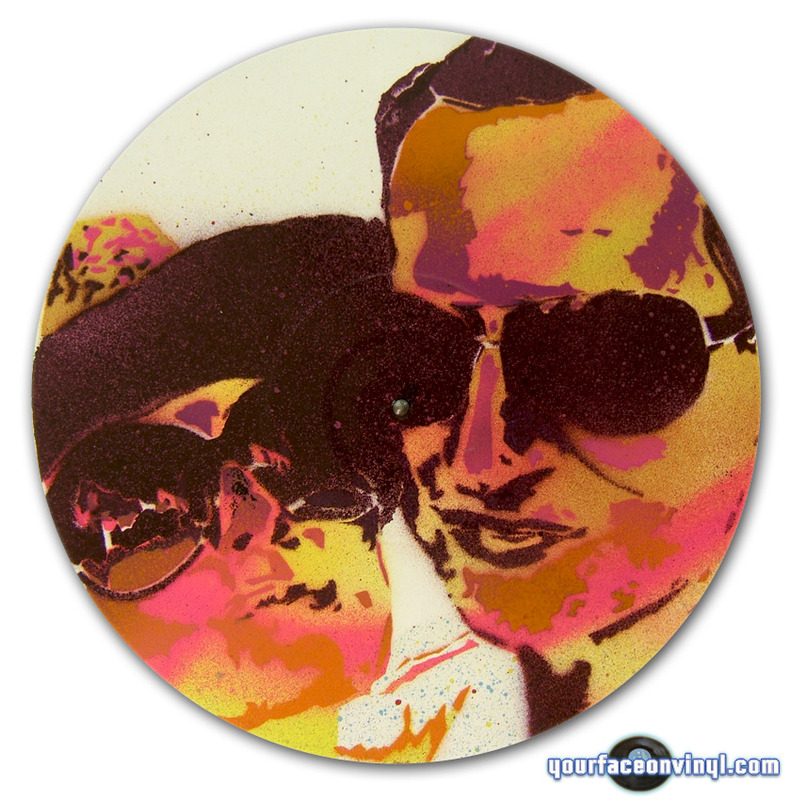 New custom order, Hunter S. Thompson stencil street art on vinyl 12″ record. However this is actually a Birthday art gift order for someone who has dressed up to look like him. 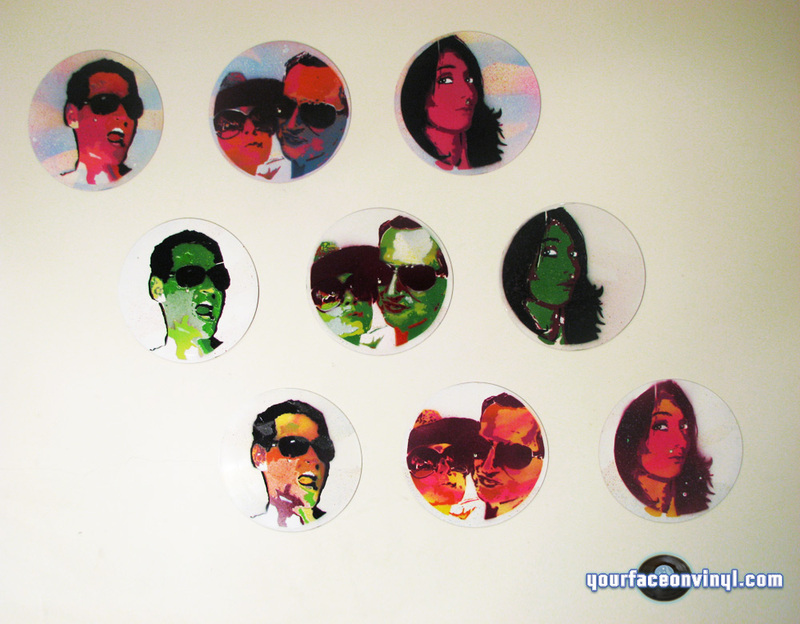 The stencil portrait on vinyl was ordered for a friend’s birthday gift, on the left you can see the photo your face on vinyl was given to work with and on the right is the final result, (photo of stencil portrait sprayed onto 12″ vinyl record). 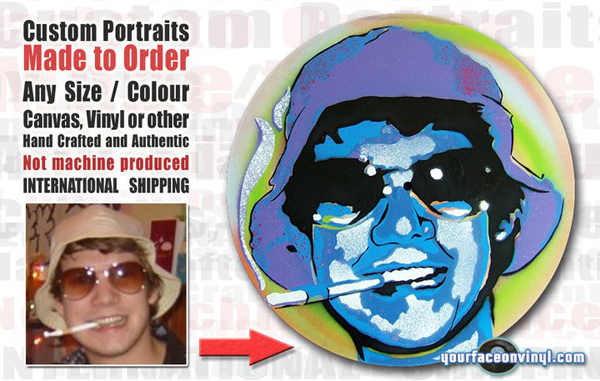 If you would like to order your very own street art style portrait on 12″ vinyl record or painted onto a canvas please check out the store. To find out more about the process of how we make our stencils at your face on vinyl hq check out this link which has exclusive video of our process. This order was made from the UK, the art was prepared in Bangkok, Thailand using the photo the client sent to us. 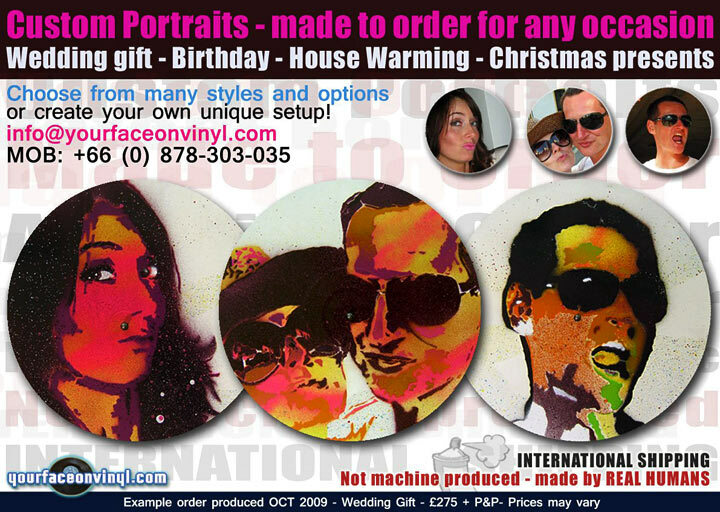 We can make and deliver your custom gift art portrait to anywhere in the world. Stencil Art Vinyl record, Portrait on display in bedroom, home decor. 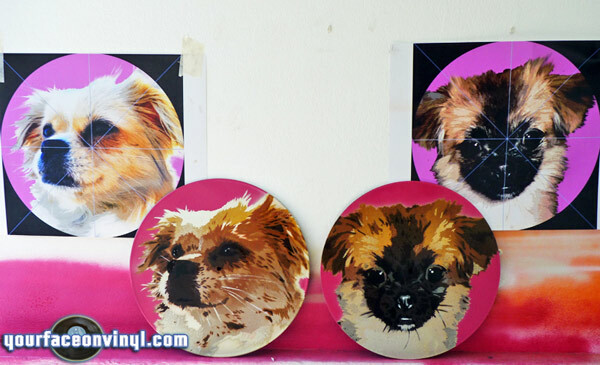 Here is a custom photo to portrait order completed in 2011, the customer was kind enough to send us a photo of the vinyl art portraits on display in her living room for display on our website. 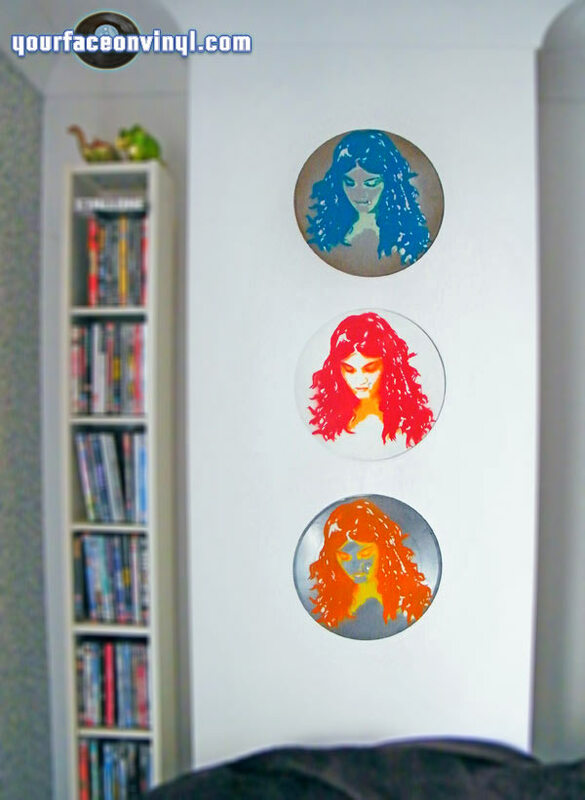 In this example you can see the customer order a ‘triptych’ style which is somewhat of a Banksy / Any Warhol hybrid piece. 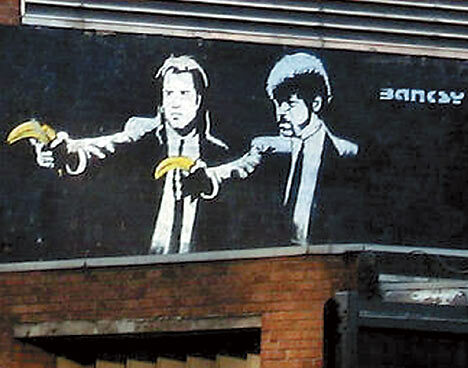 The customer sent in their photo via e-mail which was then printed and converted into a stencil. 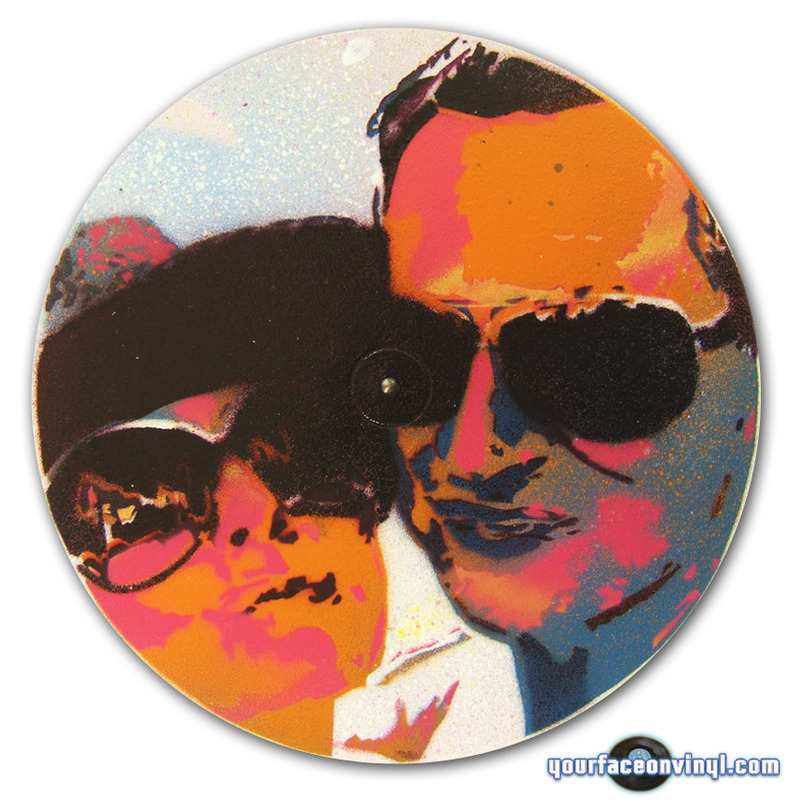 Then carefully spray painted using the stencil onto a vinyl 12” record. The customer was very happy with the resulting portrait and so was your face on vinyl. 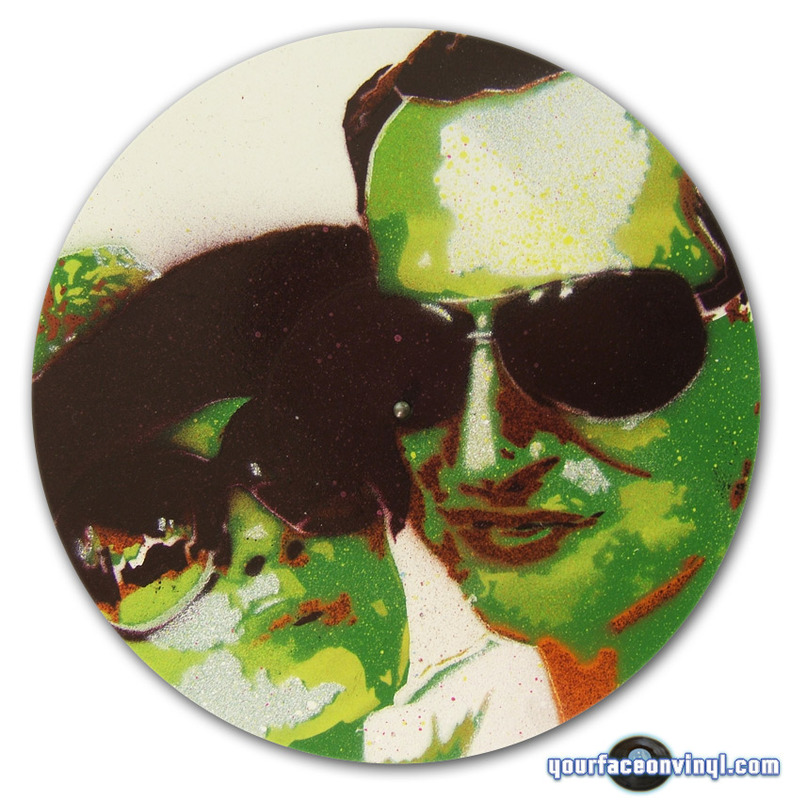 In our online store you can find out how to order your very own multi colourer vinyl stencil art for display in your own home. Check this link for order details. Thanks for taking the time to check it out!